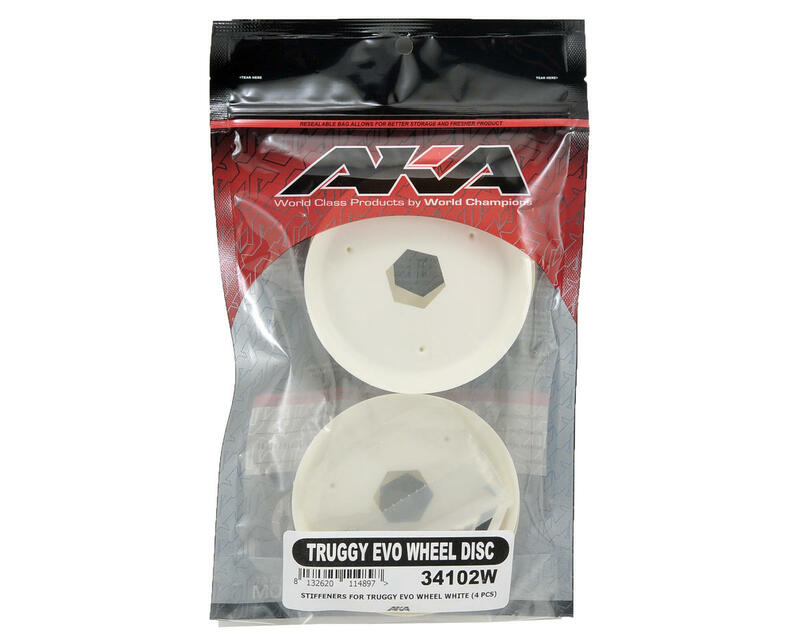 This is a set of four AKA Racing EVO Truggy Wheel Stiffeners, and are intended for use with the AKA EVO wheel. 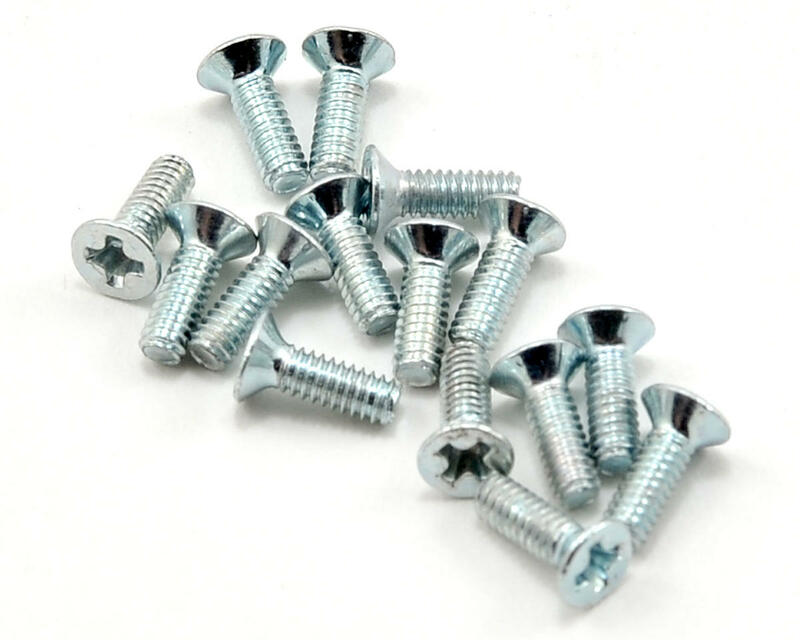 The first and most important purpose for these is to further stiffen the wheel and especially help the inner most bead of the wheel hold it's shape. The second purpose of this dish is to block dirt from being trapped within the inner ribbing of the wheel and throwing the wheel out of balance. 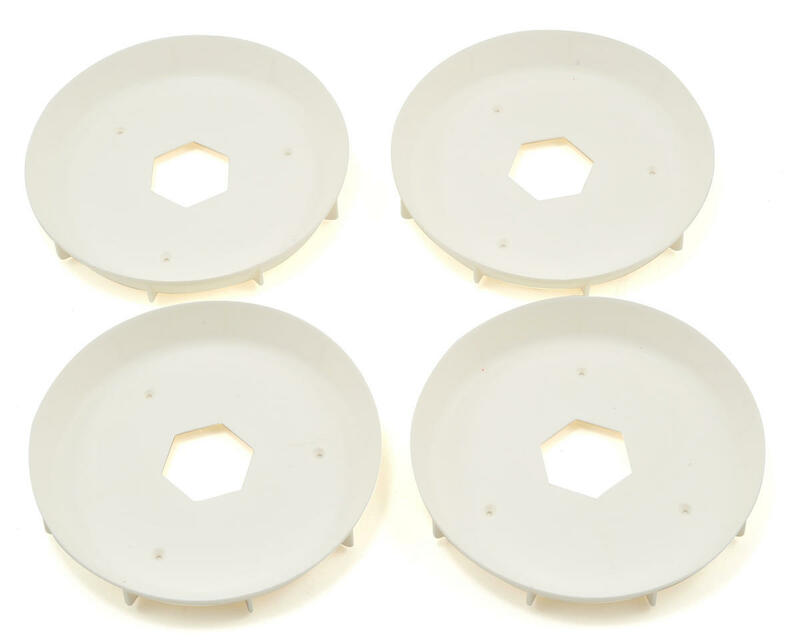 These design innovations provide a stiffer wheel, without going to stiffer and therefore more brittle plastic or increasing wall thickness which gives up clearance and adds weight at the outer edge of the wheel.